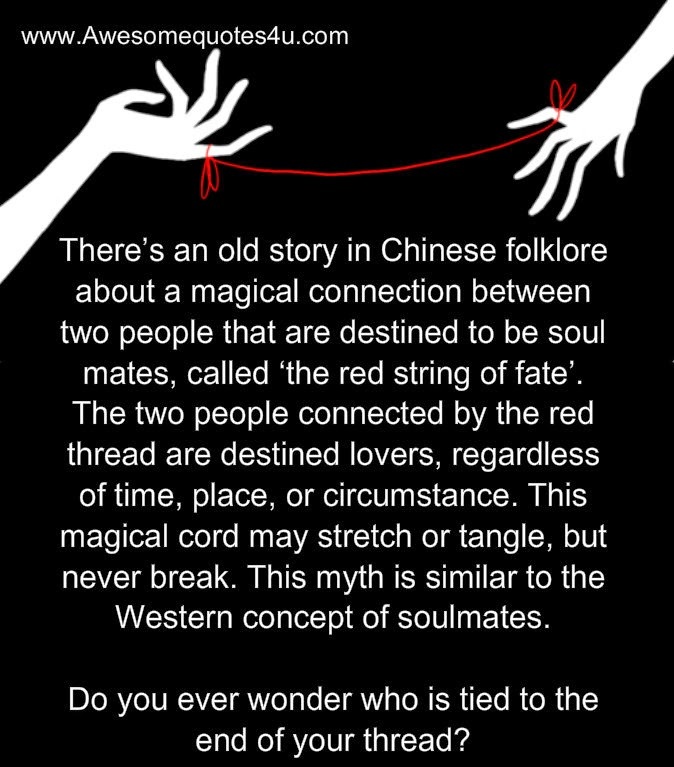 There’s an old story in Chinese folklore about a magical connection between two people that are destined to be soul mates, called ‘the red string of fate’. The two people connected by the red thread are destined lovers, regardless of time, place, or circumstance. This magical cord may stretch or tangle, but never break. This myth is similar to the Western concept of soulmates. Do you ever wonder who is tied to the end of your thread?